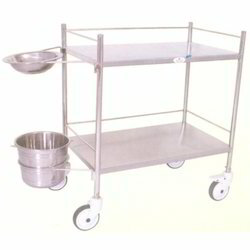 Pioneers in the industry, we offer crash cart, ot drug trolley, instrument trolley, dressing trolley, mayo table knob and oxygen cylinder trolley from India. 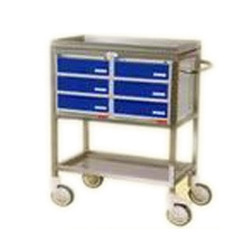 We offer valued clients quality range of Crash Cart. All these cart are fabricated of lasting nature and are quality checked by professionals ensuring its optimal functionality for longer time. 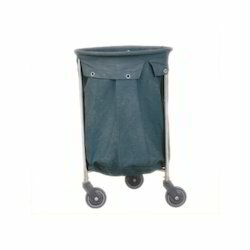 Offered products are accessible with quality-based wheels that make it simple to fix and fit easily. Clients can acquire these products at reasonable price. Stainless Steel Saline Rod made of 12 mm dia. 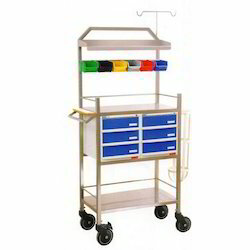 We are involved in offering an elite range of OT Drug Trolley, which is made-up by experts using finest quality raw material that is acquired from consistent suppliers of market. These products owing to best designs and for having lasting ability appreciate these products. 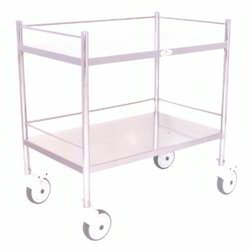 These trolleys are available in various size and stipulation that meet to the clients' demand specifically. 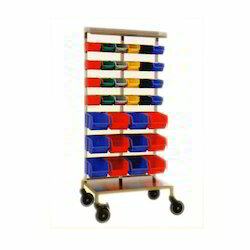 Offered range of Medicine Trolley is developed by using finest quality raw material and up-to-date tools and technologies. These products are of best quality and are available in nationwide market at rational cost. Durable in nature these products are optimum for use in operation-theater and reliable in performance features. 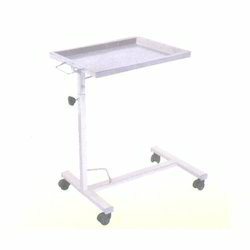 With the help of skilled professionals, we are proficient to offer an elite range of ECG Trolley. These products are highly valued in the market owing to strength it has. 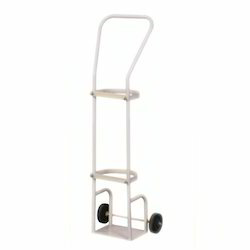 These trolleys are made-up by skillful personnel with making use of their skills and knowledge. Furthermore, owing to constant rise in demand, we offer complete range of products in various options as per the necessities of clients.